LEGO Friends 41059 Jungle Tree Sanctuary review! Finally the Summer 2014 Friends sets are showing up in the US, so here's my first review of one! 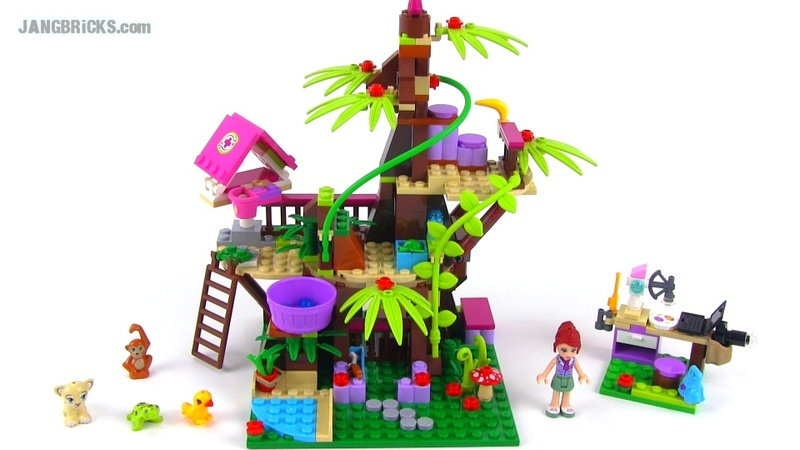 Video: LEGO Friends 41059 Jungle Tree Sanctuary review! Take care of injured animals at the Jungle Tree Sanctuary! Look after the creatures rescued by the LEGO® Friends at the Jungle Tree Sanctuary. Help Mia feed the lion cub in his paddock before she goes to top up the parrot’s biscuits in the birdhouse. Now it’s time to give the monkey a bath – watch him slide down the vine right into the bucket of water! Then head to the laboratory to examine some jungle samples and note your observations on the computer. Watch the playful animals from the platform before settling down for the night in the cozy bedroom.